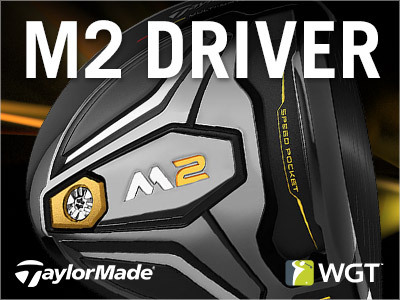 TaylorMade M2 Driver – This new driver from TaylorMade is a great addition to your virtual golf bag, to add more distance and forgiveness off the tee. Unlocks at Level 7, Level 26 and Level 69 in the WGT Pro Shop. 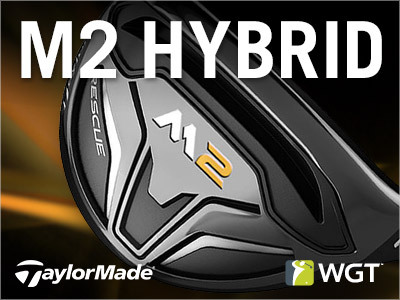 TaylorMade M2 Hybrid – Get more consistent speed, distance and forgiveness with the new TaylorMade M2 Hybrid on WGT. Unlocks at Level 9, Level 26 and Level 69 in the WGT Pro Shop. WGT Golf Mobile "Save and Quit" - Fixed an issue where the screen or functionality was was missing for some Golf Mobile players after they saved and quit a game. Club Rentals - Fixed a display issue for when some players rented a club but did not equip it, they received an incorrect timer message. CC Event #26 kicks off today and we'd "bet" your club would love your help! Play in this week's CC Event today and tomorrow, to compete against other country clubs for these new dice tee markers and flags – perfect to celebrate the newest Topgolf venue opening on the Las Vegas strip! 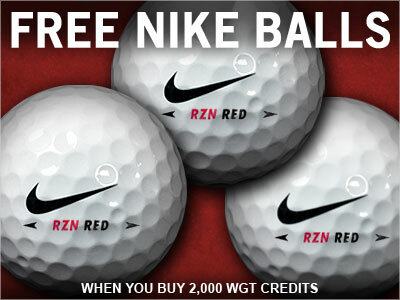 Today and tomorrow, get 3 free Nike RZN Red balls when you buy 2,000 or more WGT Credits! These premium virtual golf balls are a player favorite, giving you more distance and control on your shots. Want a great place to take your new Nike balls for a spin? Try them out in the Virtual U.S. Open Qualifier, going on now, where you could also win a Grand Prize golf trip for two to the 2017 U.S. Open at Erin Hills. Play Free! Use your WGT Credits to upgrade your virtual equipment and compete in paid games for prizes. Just buy 2,000 or more WGT Credits today through tomorrow (6/23/16-6/24/16) on WGT, and get 3 Nike RZN Red Balls (L40+). Offer valid on one purchase of 2,000 or more WGT Credits during the promotion. Get the new Callaway Chrome Soft virtual golf ball featuring Truvis Technology – now available in two colors! Choose your favorite: red and white or the NEW yellow and black pattern on the Chrome Soft balls? There's no wrong choice to get more visibility, control and distance on your shots. Callaway Truvis Chrome Soft virtual golf balls unlock at Levels 18 and 67 in the WGT Pro Shop. 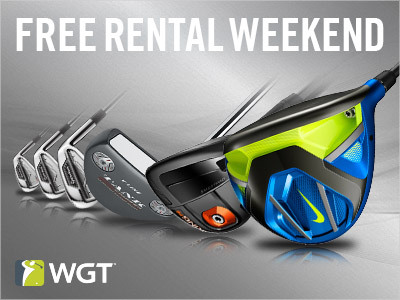 Log on to WGT and try out the new and popular clubs you've had your eye on, including clubs from Callaway, Nike, TaylorMade and more – all free! To rent clubs, just find the virtual club you want in the Pro Shop, click the RENT or TRY ME button and it's yours free for 24 hours. You can rent as many clubs as you want for free, Sat-Sun (6/18/16-6/19/16). 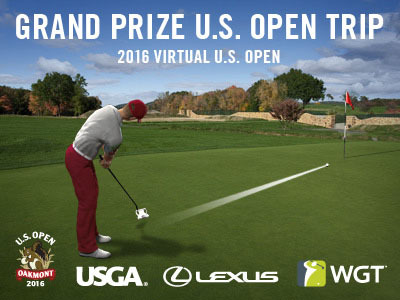 Play the Virtual U.S. Open Qualifier for your chance to win a grand prize golf trip to next year's U.S. Open! While you're following the action at Oakmont in the U.S. Open this week, experience the course for yourself, free on WGT. Compete in the Virtual U.S. Open Qualifier for your chance to win a grand prize trip for you and a friend to the 2017 U.S. Open at Erin Hills, and a $500 USGAshop.com gift card. You'll face all 18 championship holes to test your virtual golf skills, plus everyone that enters will get a free USGA avatar, a Lexus virtual golf ball and Lexus-branded Putter Pal. 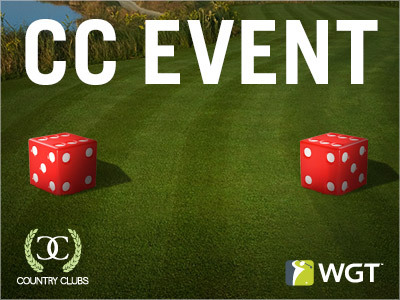 Play CC Event #25, going on NOW through 6/11. 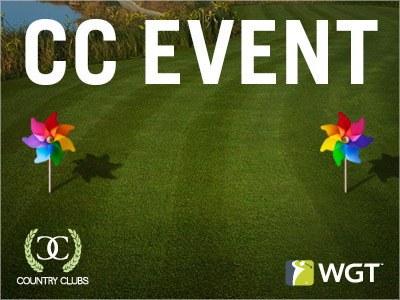 Compete against other WGT Country Clubs for club status and in-game rewards, including these new pinwheel tees and flags to add some fun color to this week's Event! Known by David outside of WGT, he lives in Milan, Italy, happily married and working for a telecommunications company. He says he's lucky enough to play WGT for almost 2 hours a day, where he manages the Crowned Masters Golf Resort. 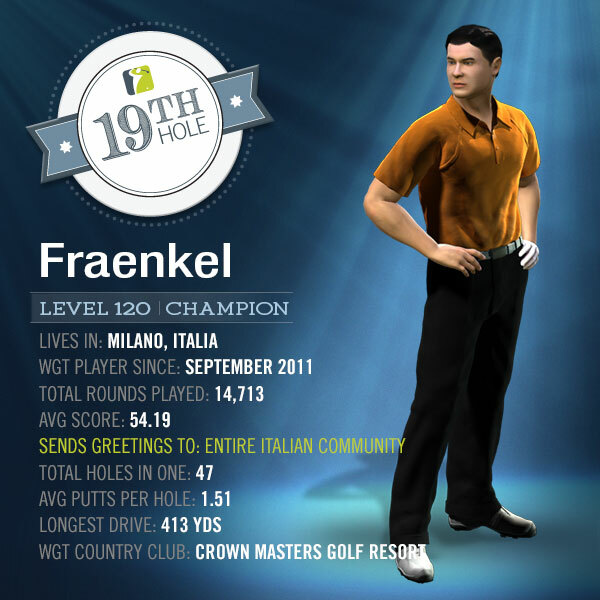 Fraenkel enjoys golf in all forms, including real world golf at Italian courses in Tuscany, watching golf on TV and playing WGT. He says he always thought playing golf would be an expensive sport choice, but thanks to WGT he was able to turn it into a "pure passion." What's your favorite virtual course on WGT? "Pebble Beach is the best course I've played on WGT, but my favorite one can be only Bethpage Black." "I am a proud owner of WGT Country Club, Crowned Masters Golf Resort and with this, I would like to thank all my directors and members." He adds that he's also proud of being featured in the WGT 19th Hole, saying it's "a real milestone." When it comes to tips for new players Fraenkel says he's "not a mentor and [he's] not even one of the best WGT players so [he has] no special tips to share," but he assures new players, that good karma will pay off with "consistency and perseverance in the game, mixed with respect for the WGT rules, the people in the Community and the Staff." Overall, his message is to first and foremost you should just enjoy the game. Thanks for sharing and keep up the awesome work in your WGT Country Club! Play the Who's Your Daddy SkyTrak Challenge tournament on WGT and you could win a free SkyTrak personal launch monitor with new WGT integration! This tournament ends 6/15, so be sure to play before then for your chance to win! One lucky sweepstakes winner will be chosen at random to receive a free SkyTrak featuring WGT Golf. This tournament is open for all WGT players to enter, but only eligible countries can win prizes. See rules for details and eligibility. 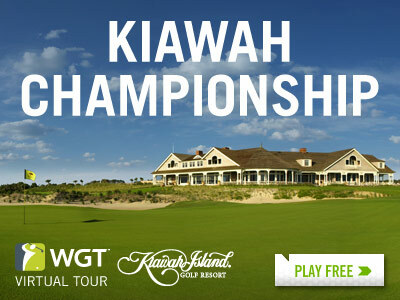 Time to bust out the sunblock -- June is here, bringing with it the Kiawah Championship on WGT! Play this month's Major tournament to close out the Apr-Jun Quarterly Season in the WGT Virtual Tour. Post your unlimited first round score by 6/24, followed by two single-play second rounds, and the top 70 combined scores in each tier will split an increased total purse of 200,000 WGT Credits. And new this year, the winning players in each tier of both the monthly tournaments and Quarterly Seasons will display new "reigning champion" icons next to their player name, plus each Quarterly Season champion will receive an exclusive new WGT avatar!